Nowadays, there seems to be a subscription box for everything. It’s no surprise that there are boxes for LEGOs! For example, Brick Loot is a popular option that provides 4-8 exclusive LEGO products with a retail value of $45 and up in every box. 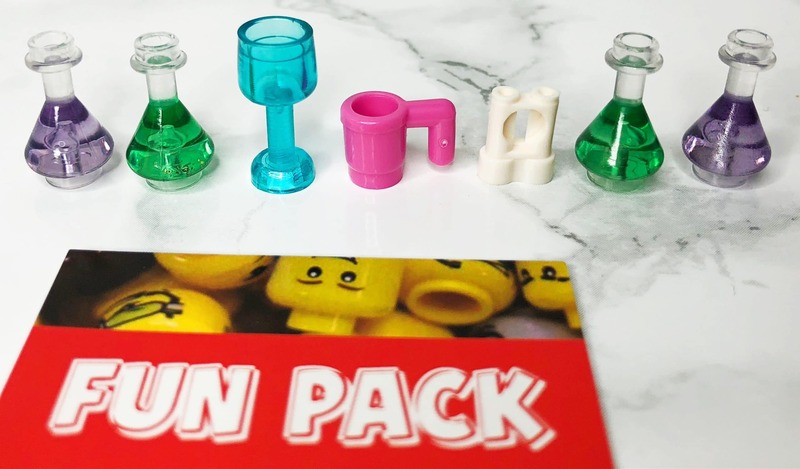 You could receive minifigures, building sets, accessories, and other fun items. Each box is a surprise! After pausing my subscription for a couple of months because I didn’t have the time for it, I looked forward to starting it up again this month. This Brick Loot review will share my October box, savings opportunities, comparisons to similar LEGO boxes, and my overall thoughts on the subscription! I received my October shipment in the middle of the month. As with my previous boxes, it came in the typical blue and white Brick Loot box. Inside, I discovered a few LEGO products as well as a sheet describing the monthly theme – “weird” science! 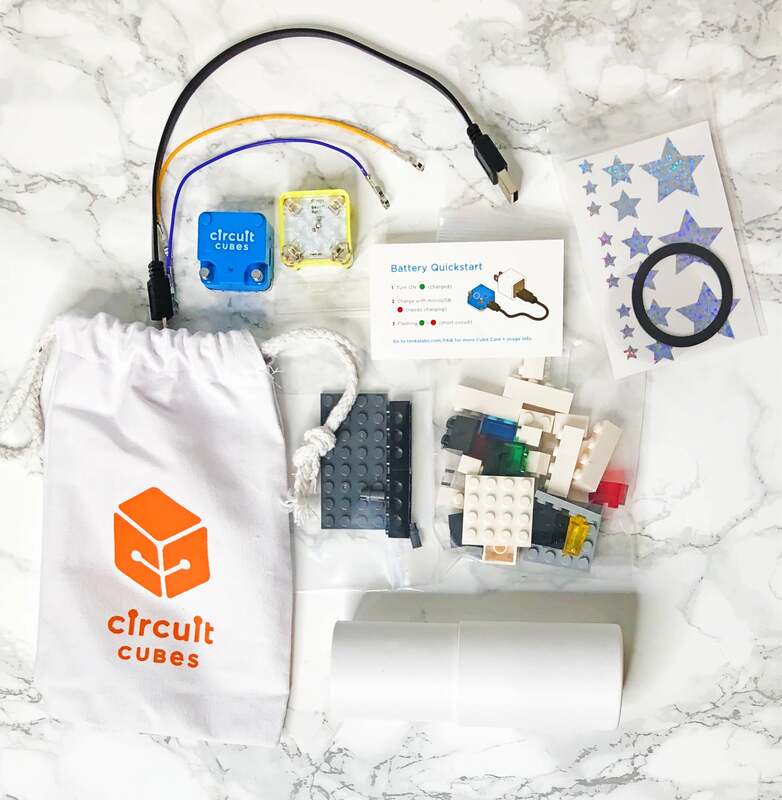 The items in my box included a scientist minifigure, a science lab building kit, a fun pack, and a circuit cubes kit. I’ll be sharing each below! 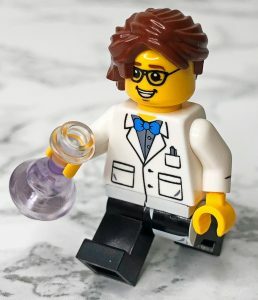 This custom printed minifigure is a scientist holding a beaker. I thought it was cute. Every Brick Loot box I’ve received so far has come with a minifigure, which is awesome. I’ll have a nice collection soon! The next product I received is a science lab LEGO kit! It was designed by Tyler Clites and has only 40 pieces. It’s fairly small compared to sets I’ve received in previous boxes, so it was very simple to build and only took a few minutes. I would’ve loved to receive more sets or at least one that’s not so easy to build. These were great additions to the science lab kit. It came with four beakers, a set of test tubes, and two cups. They look perfect in the lab. You can also switch them out with the beaker that Billy the minifigure is holding! This product was the best in this month’s box! It’s a LEGO set that allows you to build four different light-up objects. 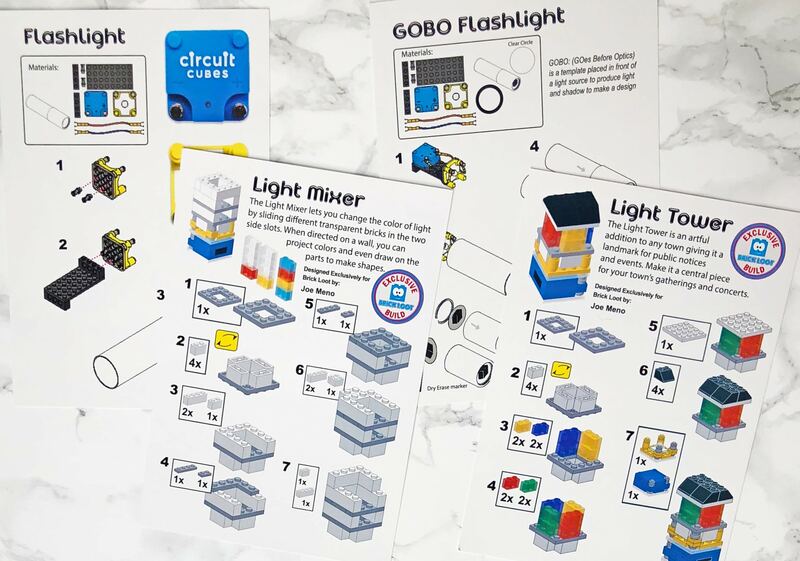 You can build a flashlight, a light tower, a light mixer, or a GOBO flashlight. I helped my younger sibling with this and they loved it. They thought it was so cool that they could build four different light-up objects out of this set. As you might expect, it kept them entertained for a while! Brick Loot typically offers a deal for new subscribers to save money. There’s only one coupon available at the moment, but it’ll save you $5 on your first box! KIDCEO is the code for this, which you’ll need to enter at checkout. There aren’t many LEGO subscription boxes out there, and the ones that are available (like Brick Loot) can be spendy considering the amount you get. However, I recently discovered a unique subscription for LEGOs that I thought was brilliant – Netbricks allows you to rent LEGOs! This is a fantastic idea. Why purchase expensive full sets if you’re only going to build them one or two times? They offer flexible plans and various prices to fit anybody’s budget. Plus, you also get to pick whichever sets you’d like! If you don’t want a monthly plan, their one-time rentals start at $24 per rental. However, the monthly memberships are a much better deal. With the simply unlimited membership, you get sets one-by-one and the prices range from $29-$49 per month. Once you’ve finished building one, you send it back and pick another. They also have the ultimate membership, which is the best option because it allows you to pick out multiple sets and get them all at once rather than one-by-one. This way, you won’t have to wait for sets in-between shipping and you won’t have to pay each shipping cost. The price depends on which plan you choose ($39 – $69 / month). The values are outstanding – for example, the cheapest option gets you $200 worth of LEGOs every 60 days (they also have 30-day options). To sum up, I was pretty satisfied with my Brick Loot box. One thing I wish they included was more building sets (or at least one with more pieces). If you’re looking for large sets or a high value of products, this most likely isn’t the right subscription for you. However, it’s a great option for LEGO fanatics that want to add a couple exclusive items to their collection every month. It’s also an exciting subscription box for kids.